Four seasons in 5 hours... Yes this is possible and, in fact, is exactly what I experienced on my 5 hour drive from the Grand Canyon to Joshua Tree California. I awoke to a familiar view out my window on the morning of my departure from Grand Canyon Village...snow had arrived to blanket the landscape and wasn't planning to stop any time soon. As I headed south, the flurries became a squall - this was how May arrived in Northern Arizona. As I dropped in elevation, the snow switched to freezing rain, then a bit of pelleting hail...rains showers followed until the sun finally broke through and left the desert of Southern California in brilliant color. Thanks to the sudden rainstorm, I was rerouted, and rerouted again due to flash floods and a washed out bridge, but finally made my way into the town of Joshua Tree right on cue for the sunset colors that only the desert seems to provide. A cool 80 degrees in this border town of the National Park, a far cry from the 19 degrees I woke up to that morning...how many layers of clothes had I put on and peeled off throughout the day? I found myself a local beer and sandwich at The Joshua Tree Saloon and closed the book on a very interesting day of travel. Sleep was needed and Joshua Tree National Park was calling first thing in the morning! 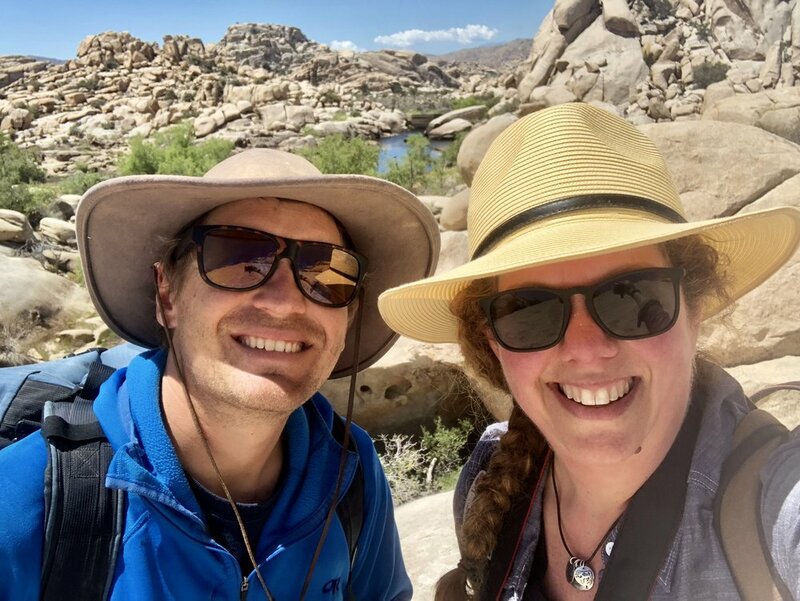 I can't think of a better way to be introduced to Joshua Tree than by spending the morning being shown around the park by Ethan Peck, owner/guide of Joshua Tree Adventures! A native Vermonter, I've known Ethan for over 20 years and thanks to his mom - Martha, she arranged for Ethan to give me the highlights of the park. After grabbing a coffee at Natural Sisters Cafe in town (Yes, this is a must stop in JT) We headed into the park...In addition to taking me climbing around some of his favorite spots and marking up my map of "must see" spots to explore on my own, Ethan was an incredible wealth of knowledge on the history and geology of the park, as well as the current environmental concerns for the Joshua Tree area and greater Southern California plight. It was inspiring to hear both his expertise and passion for what he does and this place he now calls home. Thanks Ethan and Martha, and if you are ever in Joshua Tree (which of course, you should find yourself here some time) make sure to look Ethan up and have him take you scrambling about the park! 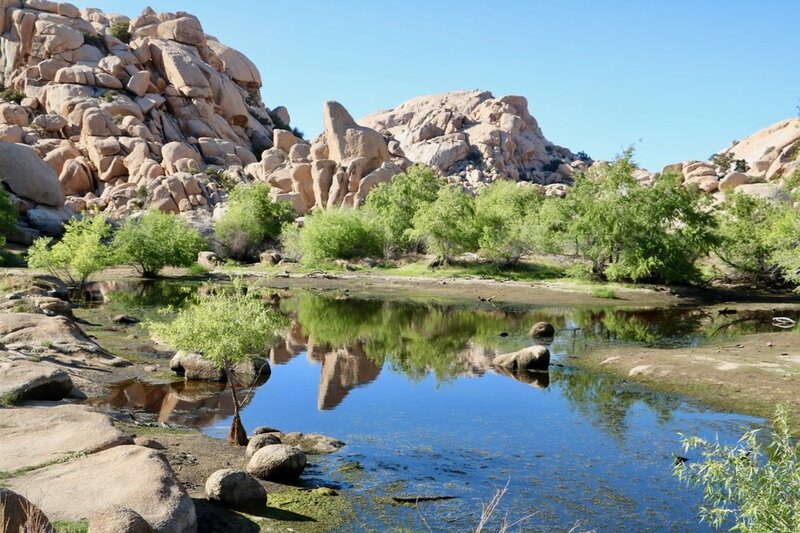 Joshua Tree is a unique spot where the ecosystems of two distinctly different deserts meet. Therefore as you travel through the park you move from the high desert environment to the low desert and find a strikingly different landscape. Of course this park is famous for the much revered Joshua Tree that lives in few places, but is in abundance here in the high desert section. But setting the tree aside for a moment, this place is all about rock structure - the fascinating and bizarre mounds and hills that look to have pushed themselves up through the ground at and stacked themselves in impossible arrangements. Ethan explained the entire geological history to me of how they came to be this way that was incredible to learn...I won't go into the details here (nor would I remember them accurately enough) but needless today, it makes for amazing viewing, photographing, hiking and climbing. 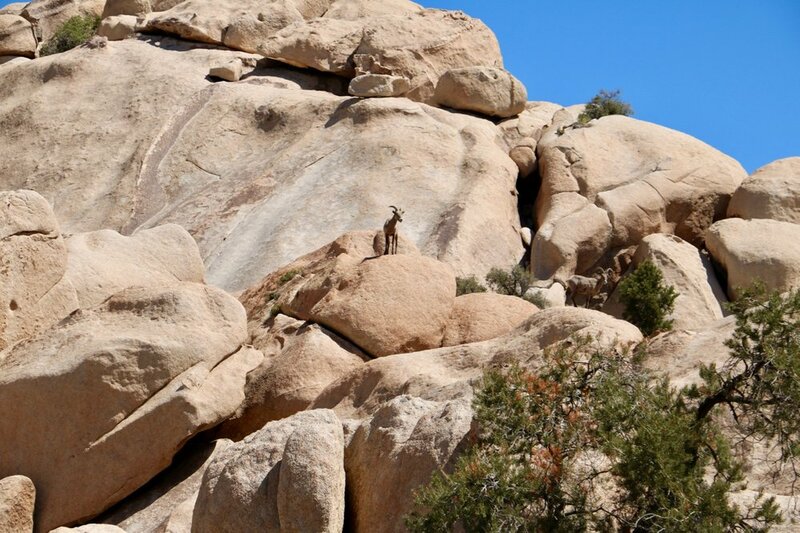 The rocks and hills make Joshua Tree a haven for scramblers and rock climbers - and much to my relief, the rock here has a "super grip' that allowed even a person of my skill set the ability to scale, climb and wedge my way into some pretty spectacular spots! Now for a painter, these complex rock formations create an incredible task to be solved and choosing a vantage point became a bit tricky. I realized that throughout the parks I have visited, I seem to always be drawn to the places where water and stone collide - and seeing the evidence of where water has shaped, enhanced, or carved away at the landscape. Joshua Tree was no different...in this dry, and somewhat monochromatic landscape of the desert, I kept being drawn back to the same place: Barker Dam. The is the one oasis of water in the park that creates not only a brilliant contrast of color between the stone and sand with the bold blue reflection of sky in the water, but also a place where migratory birds gravitate, other animals of the desert commune for an essential life source, and the bright green of trees flourish. It was a wonderful place to explore, but also to sit in quiet solitude and watch the world around me. There was a reverent hushed atmosphere here by the visitors as if they didn't want to disturb the play that was unfolding in front of them. As I observed I saw a menagerie of birds of all sizes and color - including water foul though they are far from any large body of water, along with many 4 legged creatures from skinny lizards and squirrels to big horned sheep. Needless to say this spot is critical as a water source to sustain the delicate ecosystem here which creates an almost holy ground sensibility. From an artist's point of view, the pond became a mirror reflecting and enhancing the world around me and allowing me to see it in a variety of ways. In the end, I traveled back to the Barker Dam area of the park over 5 times. It seemed to be a place that recharged me, challenged me, and inspired me for the work I am doing with this project. In talking with both Ethan and a variety of Rangers in the park - they all seemed to agree that there are two major areas of concern as to the parks sustainability and survival. The first is the effects of climate change. As temperatures slowly increase, the delicate ecosphere is in extreme danger. many of the plants that grow here, especially the namesake Joshua Tree, will no longer be able to survive as at temps slowly creep upward. 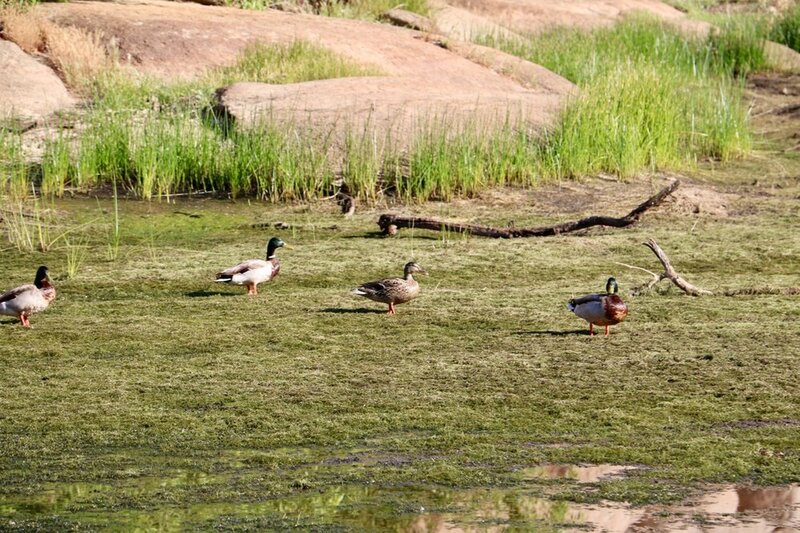 With the rising temps, the little bit of water accessible to plants and animals depletes as well which not only affects the flora and fauna that call this place home but also the migratory birds that use this as a necessary layover spot as they traverse from place to place. For those of you that have never lived in a place like Joshua Tree, it is hard to understand how the threat of temperatures rising even a couple degrees could have such a catastrophic impact. The other challenge the park is facing right now is us - human traffic to the park. With its close proximity of only 3 hours to Los Angeles and the Southern California coast, as Ethan put it, "The park is in danger of being loved to death". This place and the tiny border towns can't handle the impact of over 6 million visitors a year, even well-intentioned visitors who cherish it but unknowingly do things to impair it. This problem opens a pandora's box of issues - Do we impact the park by building more infrastructure to accommodate more tourists like Yellowstone has done? Do we limit the number of visitors a day by creating a reservation system or jacking up entry fees as Arches may be forced to consider to preserve the delicate structures there? Do we impose mandatory guided touring an build boardwalks throughout the park to slow the damage done by human treading? 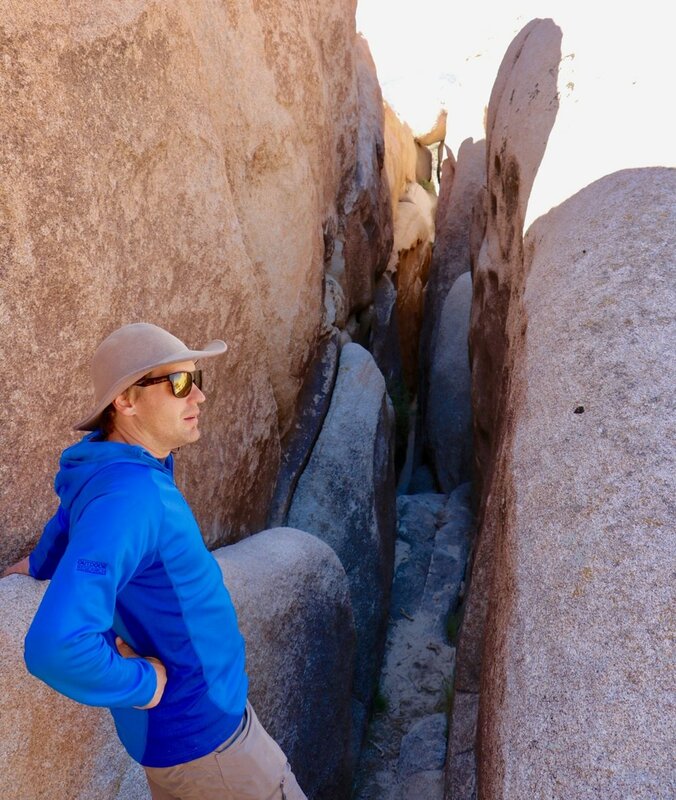 Right now Joshua Tree is a free to roam environment, but can they maintain that free and open feel with a reasonable entry fee to make this accessible to everyone? 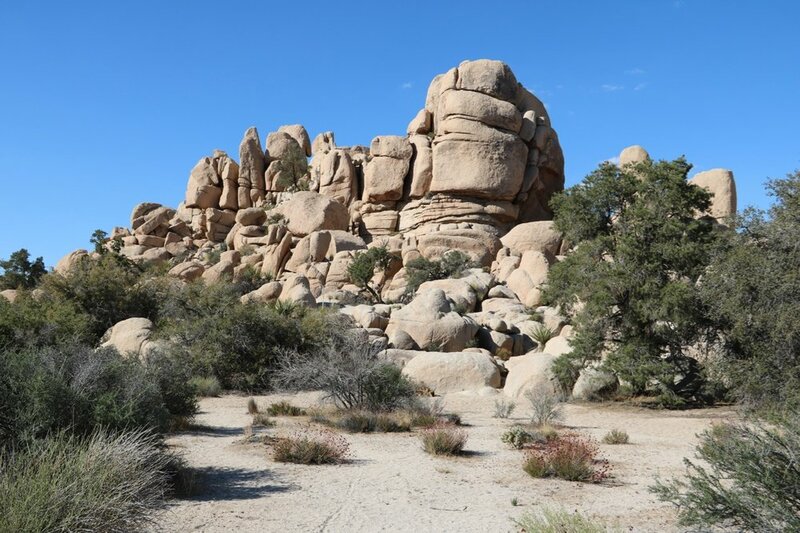 These are just a few of the challenges Joshua Tree is facing not in the future, but RIGHT NOW. 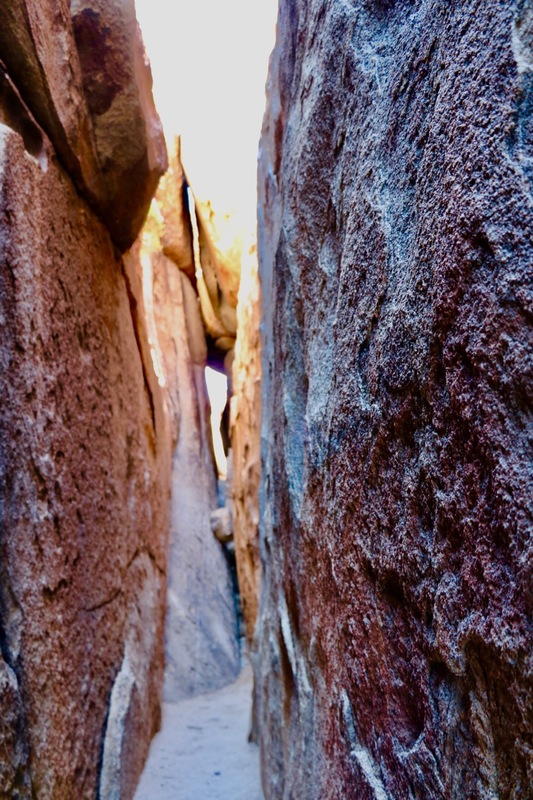 Those working in the park along with the local communities are playing a difficult balancing game right now, but support is needed if Joshua Tree of today is going to survive and that support needs to come in a concerted effort to combat climate change and education about how to protect and preserve these unique places. Three days in the desert sun and heat were amazing, but the ocean and islands are calling....I'm ready to be out on the water and explore a dramatically different environment! Coming up - Channel Islands National Park!